I have officially been in Birmingham for four weeks now and getting settled this go around as compared to last year in an apartment has been day and night. My last place was my very first non-furnished living situation making it a very slow process getting it to look the way I wanted it to. Fortunately, I was familiar with Greenville, SC after attending college there so at least I had that familiarity when trying to feel a little more at home. Birmingham on the other hand is unfamiliar territory to me which has made it so that I’m always using Google Maps on my phone and oftentimes missing turns. Our house however, is starting to feel like home even if the city isn’t quite there yet since I already had some furniture for it. I’m hoping that this week will be when I finally start to feel settled in both a new city and new home. With it being my fourth week, some things are starting to feel routine which definitely lends me to feeling more at home with what I’m doing. 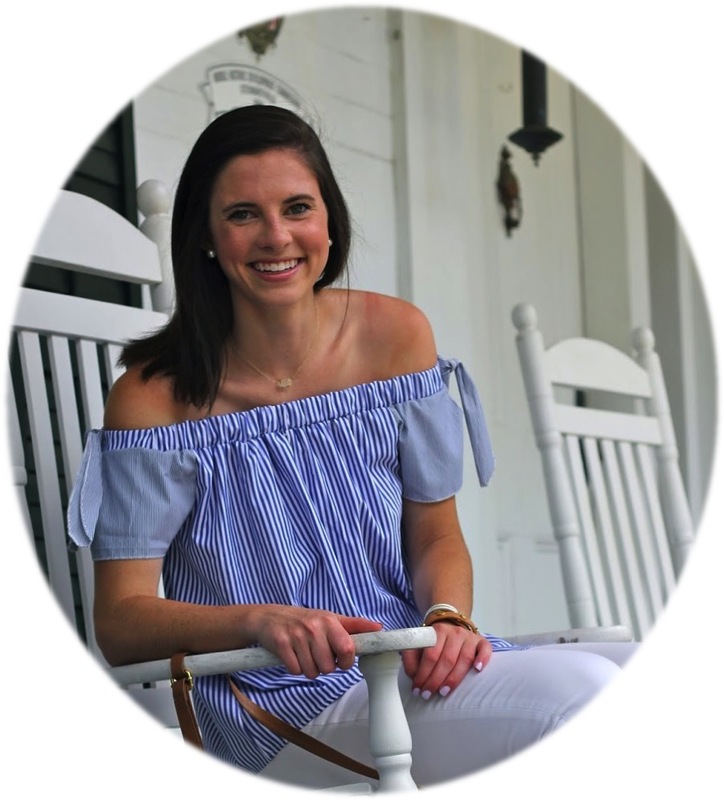 Since I know so many people go through transitions like mine in August and September with college move in or new jobs, I thought I’d share some of the things that have helped me feel so much more at home in a new space and place. 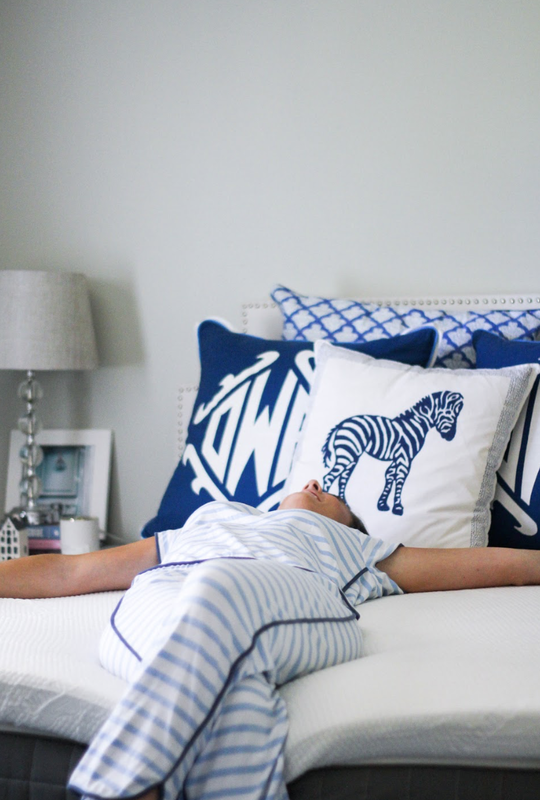 I’m not talking about making sure you’ve made the pillows look just right each morning on your freshly made bed, although I would recommend that too. Instead, we are back tracking to make your bed feel like a welcoming and comfortable space since it’s where you’ll hopefully be spending around 8 hours each night. 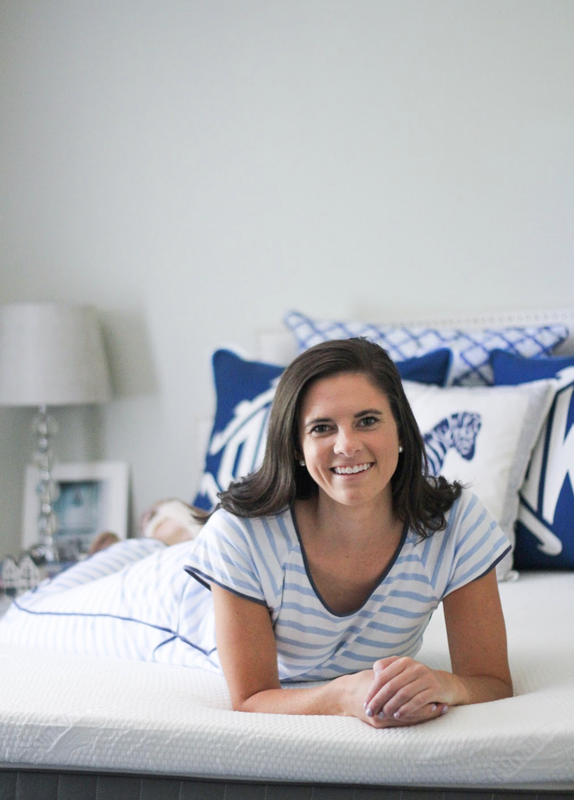 For me, I had my bed frame, headboard, pillows, and duvet ready to go so that I could make sure that if nothing else were settled in my home that at least I had a comfortable place to sleep. That meant my mattress needed to make its way onto my bed and potentially more important than that, my mattress topper. 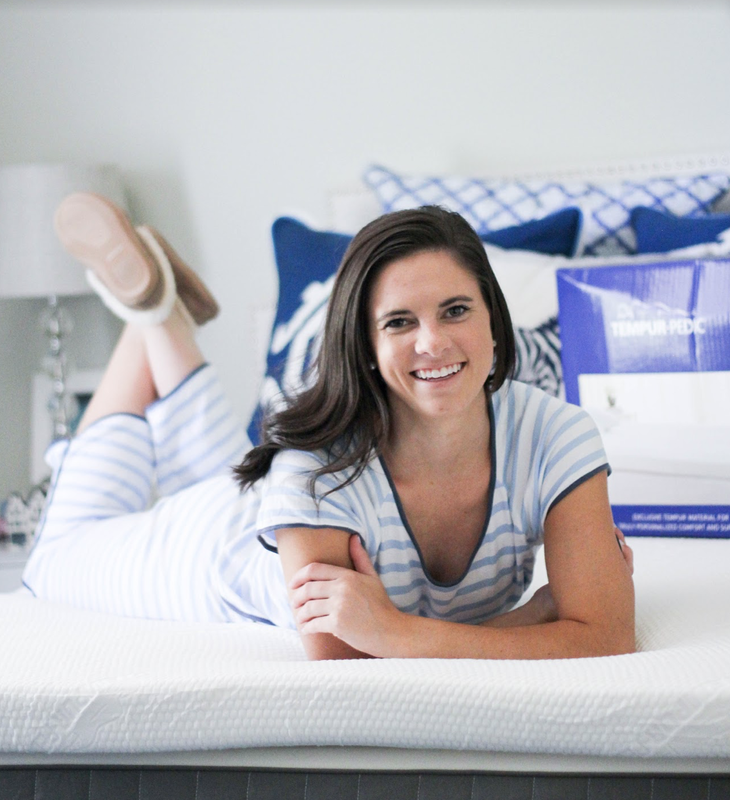 In my last place I had been using the same full-size mattress topper that I had had on my bed junior and senior year on my queen size bed. This meant that there was about a three-inch border framing each side where my mattress topper abruptly ended. Moving was enough of a motivator to fix this. 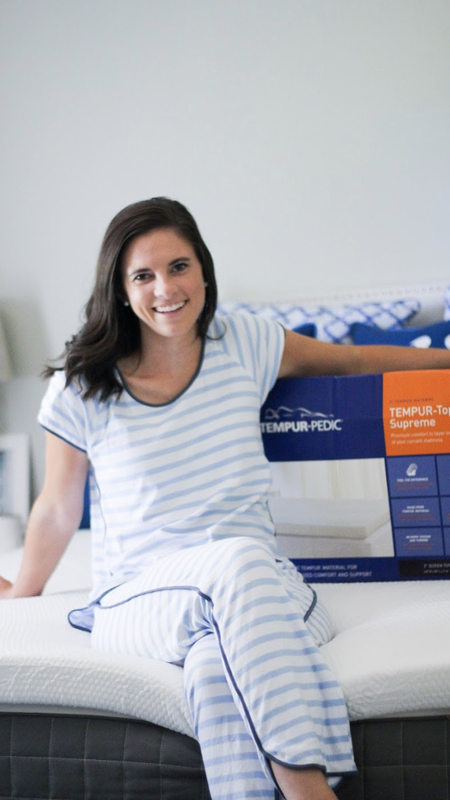 I opted for a Tempur-Pedic Mattress Topper which is designed with the original revolutionary TEMPUR material that made the brand famous. Another benefit of making your bed early on in the getting situated process is that it quickly eliminated a number of bags since you’re unpacking them and directly making your bed. This also creates a place to set things as you’re putting other items away while also giving you a comfortable space to take a much-deserved rest during the moving in process. Unpacking kitchen boxes was the last thing I wanted to do when I moved into my house. Something about not having visual progress in the space discouraged me from getting it done. Once I finally did it I felt so much more motivated to cook myself food instead of depending on quick grab and go options that epitomize transition for so many. If you’re looking for something that tastes like home but is still quick enough to allow you to make progress as you continue to unpack be sure to check out some of my previous Meal Prep In Your Step posts! For any of you out there that choose to be minimalists more power to you but that’s definitely not how I tend to use my space. There were a few days in the beginning when I didn’t have anything on my walls and despite having furniture in place, my space felt bare and uninviting. Once I finally decided where I wanted art I was quick to hang things up to make it feel more like home. Curtains played a huge role in this too since my room then looked more lived in. Hanging up art usually doesn’t take long so it’s such a quick way to add some personality without a ton of effort. Long walks are without a doubt one of my favorite forms of exercise. It’s easy to get so consumed in the moving process that you neglect a different form of exercise (because let’s be real, moving is definitely a work out in itself). I found that going for a walk in the area near my house helped me to feel more familiar with the area I had moved to help me to feel more settled with my surroundings. I am definitely a routine person. My parents would tell you that this dates back to childhood. I like knowing what I’m doing a day and filling in the rest of my day as needed. I am convinced that I am so much more productive when operating with a routine than those times when I am not. As someone who likes to be busy, routine is good for that. While your routine may change based on a move (i.e. commute among other things), establishing some sort of familiarity through your day to day activities will help you feel more settled and in turn make your new location feel more at home. My friends will be the first to tell you that my signature scent undoubtedly comes from my laundry detergent. So much so that my little discovered I was her big because of the t-shirts I gave her and my best friends and her fiancé both turned around at an event and said “Dorothy” when someone walked by who must use the same laundry detergent as me. When I think of moving I think of sweating while moving boxes and the scent of cleaning supplies as you make sure that you’re unpacking into an orderly environment. While cleaning is great, the smell of Clorox wipes isn’t necessarily the most inviting. To make your space feel a bit more like your own, light a favorite candle and let it burn until eventually your space starts to smell more like home! 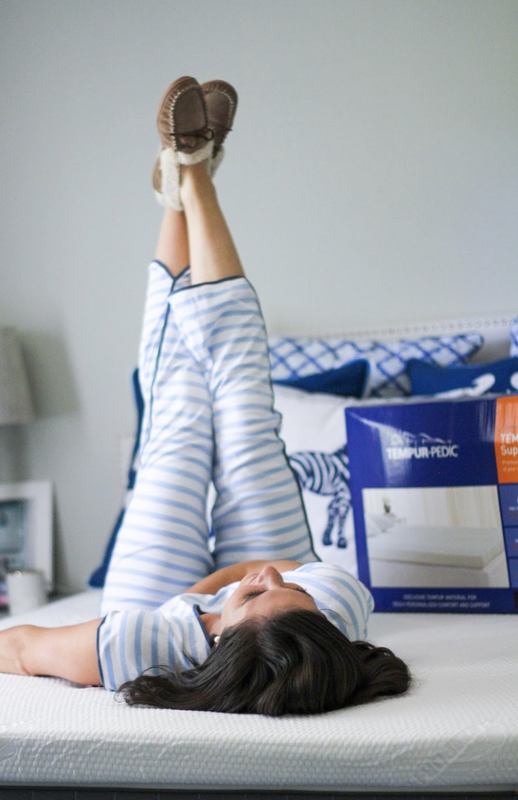 Moving can be an exhausting and slow process (hence why I think making your bed is a great first step). Knowing that as you start to unpack and attempt to settle is reassuring. If you have any other tips as to how to make a new place feel more like home in the midst of a move definitely share them below! 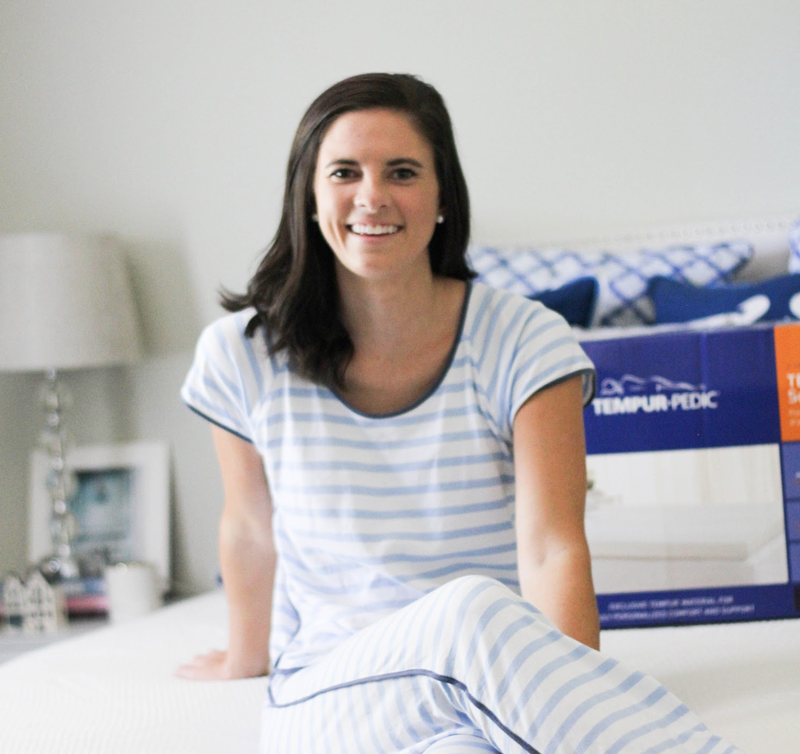 Thank you to Tempur-Pedic for sponsoring this post. As always, all opinions are my own. Thank you for supporting the brands that make Prep In Your Step possible!